Shooting Season is underway! Have you got your shooting essentials at the ready? Take a look at our list of Top 10 Innovations In Shooting… Own the best! Where would we be without our warming friend PrimaLoft®? At this time of year when autumn slowly seeps into winter, clothing with a built in PrimaLoft® lining comes in very handy (especially when you’re in the midst of shooting season). The most desirable quality of PrimaLoft® is that it has the ability to retain your body temperature. This synthetic material captures the heat that radiates from your body and stores it within its fibres, which is what prevents you from feeling the cold in frosty conditions. Not only does PrimaLoft® keep you supremely warm with its high loft insulation properties, it is also extremely lightweight and breathable! Ideal for when you’re trekking across craggy moors with your shooting gear in tow. Plus it performs exceptionally well in rainy conditions thanks to its water resistant and fast drying qualities. 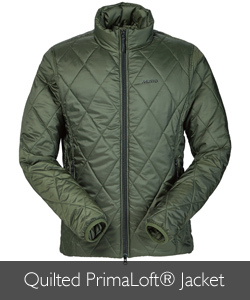 See our PrimaLoft® Range. An alternative warming material to PrimaLoft® is Icebreaker’s Merino Wool Base Layers. Merino wool comes from nature’s very own Merino sheep. Merino is a natural material that has been used to clothe people since the Middle Ages (so you know that there must be something to it!). What’s inspiring about Icebreaker’s clothing is the way in which they test their garments. Instead of challenging their clothing in a lab with man-made chemicals and techniques, they put their wares to the ultimate test; Mother Nature. Icebreaker take their clothing straight to the outdoors, so you know that what you buy will offer the best protection against the elements. Icebreaker’s super soft Merino layers are suitable to wear whilst skiing and winter hiking, as they will keep you and your inner core luxuriously warm in chilling conditions (just think how warm you will be in the field!). Plus they are surprisingly lightweight and breathable. New to the Philip Morris & Son clothing range is the Alan Paine Loden Coat. What makes this coat an innovation within the world of shooting? The Loden is fully waterproof, breathable, and at the top of its game when it comes to affordable and extremely practical shooting attire. 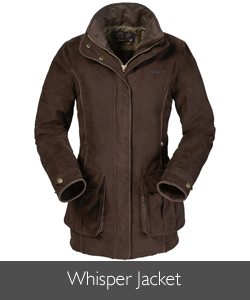 This lightweight coat is made from 100% wool that has been coated with a technical Teflon layer, which means that you are guaranteed to remain dry in cold and damp conditions. Featuring a gorgeous golden lining, two cartridge and hand warmer pockets, and an adjustable drawcord around the waist for a flattering fit. An exceptional jacket at an exceptional price. 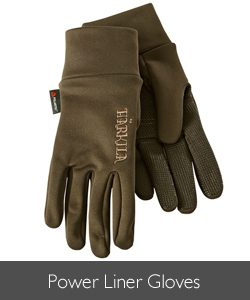 The Harkila Power Liner Gloves are at the top of their league when it comes to freedom of movement and warmth. Unlike most technical shooting gloves the Power Liner’s do not have a flip back thumb piece; they still have the thumb intact to the palm. This is because these gloves are made from 88% polyester and 12% spandex, which means that your freedom of movement is in no way limited. These gloves feature a dot pattern on the palm of the glove that will provide you with excellent grip, making them perfect for rainy conditions!! 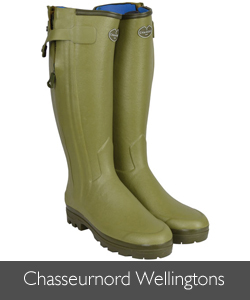 Le Chameau Vierzonord and Chasseurnord wellingtons are still unbeatable when it comes to having super cosy feet! With their 3mm neoprene lining your feet will stay pleasantly warm in cold weather. The Vierzonord boots are perfect for wearing on uneven terrain, thanks to their sturdy and hard wearing soles. 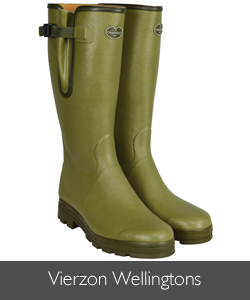 For extra added warmth why not have a look at Le Chameau’s Vierzonord Extreme Wellingtons? These boots contain a 5mm neoprene lining, which will offer you unbeatable insulation in frosty temperatures. When you spend all of your day on your feet you need to find a pair of boots that you will be comfortable in. 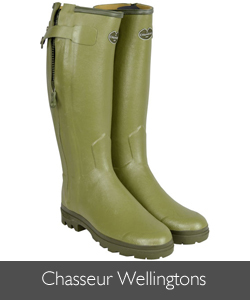 Le Chameau’s Vierzon and Chasseur wellingtons have been made with natural full grain leather, which will help your feet feel completely comfortable all day long. These fully leather lined boots are excellent for regulating leg and foot temperature, on hot days your feet will stay cool and on cold days your feet will remain cosy. This is because of their excellent insulating, breathable and waterproof properties (perfect for long days of trudging up and down the fields!). 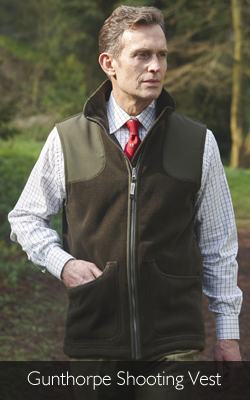 The new Schoffel Gunthorpe Gilet is a brilliant addition to any shooter’s wardrobe. It is an extremely stylish yet highly practical piece of clothing. Made from Polartec® Thermal Pro® 200 fleece, this gilet will protect you from the bitter cold when you’re out hunting on a winter’s day. The most sought after quality that this garment features is its inner zipped pocket. This will allow you to keep your personal documents separate from your cartridges. 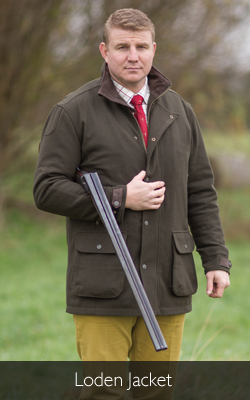 This gilet also features two large scooped pockets that will allow for easy cartridge access, with a removable recoil pad to protect your shoulder from the kick of your gun. The beauty of this gilet is that the recoil pad can be inserted into either the left or right hand shoulder, depending on your dominant arm. It’s extremely important to protect your hearing, especially when you’re out shooting with shotguns. 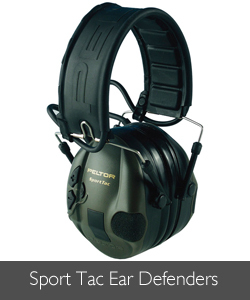 Stop the ringing in your ears with the Peltor Sport Tac Ear Defenders. Thanks to their adjustable hearing system, noise repercussions from loud shots can be altered to your desired volume. For people who shoot regularly you will know how much of a hassle it is to keep readjusting your shooting sticks by hand. Introducing the Primos Trigger Stick, this little gadget makes adjusting the level of your riffle a breeze! With its quick release height mechanism all you need to do is simply press the trigger until the legs reach your desired height. 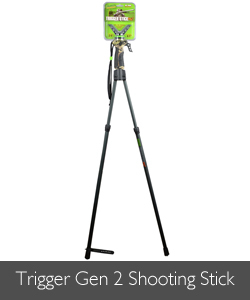 You can also use this tripod for resting your camera on when filming wildlife. The Schoffel Ptarmigan Tweed Jacket was made for the outdoors; as it offers its wearer ultimate weather proofing in fickle weather conditions. This 100% lambswool garment has a Teflon® coated finish and a Gore–Tex® Z-liner, which makes it fully waterproof, windproof and breathable! This coat also features Micro fleece hand warming pockets, large bellow cartridge pockets with drainage holes, and two inside zip security pockets; everything you need in a shooting jacket. 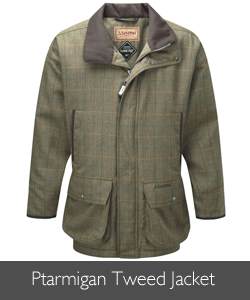 Also available: Women’s Ptarmigan Tweed Jacket. Browse the entire Ptarmigan Range. 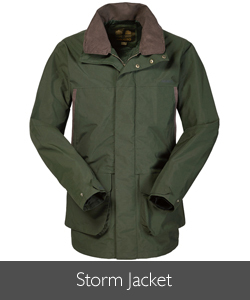 The Barbour Carlton Jumper makes a perfectly snug mid layer underneath your shooting jacket, or as a stand-alone piece. 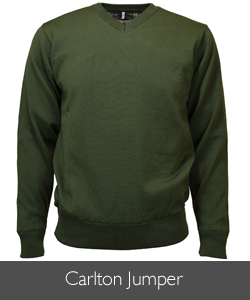 This jumper will offer its wearer a soft and warm embrace with its 100% extra wool knit. 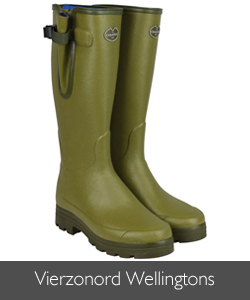 As well as being comfortably warm in the field, you will also need to have some form of protection in damp conditions. 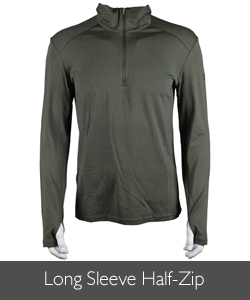 This lightweight jumper offers excellent water protection with its Teflon® treated fibres and waterproof lining. This jumper also makes a great gift for Christmas! 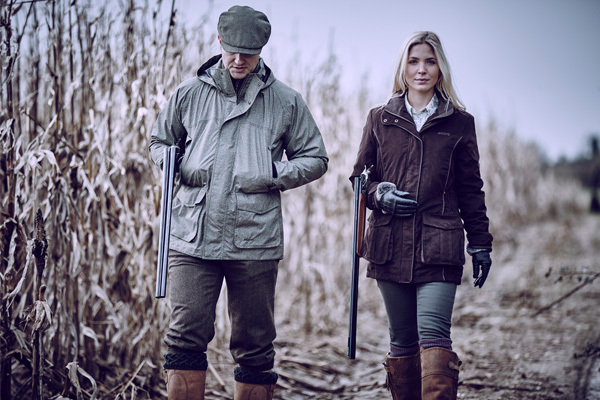 You’ve come this far… Why not explore all of our Shooting Clothing collections and Shooting Accessories? Alan Paine, barbour, Gloves, Gunthorpe, Harkila, Icebreaker, Le Chameau, Loden Coat, Merino Wool, Musto, Peltor, PrimaLoft, Primos, Sch?ffel, shooting, Shooting Accessories, Shooting Clothing, Wellingtons. Bookmark.